Cheaper, consumer grade earphones/headphones might work for casual listening applications, but when it's time to record your music, every detail matters. Any imperfections missed during the tracking/mixing stage will only be accentuated by the mastering process; therefore, it is imperative that you can hear every note and nuance in crystal clear detail. Investing in a great pair of monitoring speakers and improving your room acoustics will go a long way, however; referencing your mix on studio quality headphones remains essential to creating a polished professional track. To help you make a more informed decision about which set is best for you, we have prepared a list of elements to consider. What will you be using the headphones for? One of the key factors to consider when choosing studio headphones is how well they isolate from the outside world. 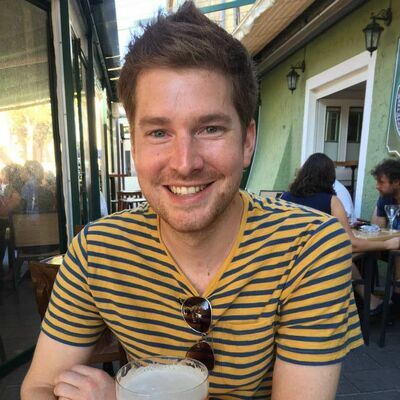 Sound isolation is particularly important when choosing headphones for tracking. In this application, it is essential that sound bleeding from the headphone is kept to an absolute minimum, otherwise; you could have a real headache on your hand when it comes to mixing your track. There is nothing worse than getting to the end of your production and realising that you can hear the click track on almost every recording. Additionally, great sound isolation helps the musician hear the backing or click track more accurately without needing to turn the volume up too high. The benefit here is obvious; a more confident performance. 2. When would I need open-back headphones? 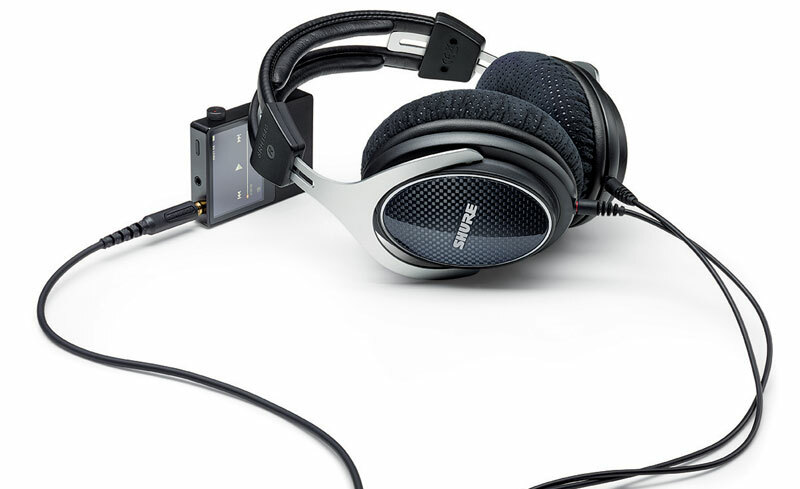 Open-back headphones feature an ear-cup that has holes or perforations. This design intentionally allows sound to escape, and subsequently, the sound signature is different. Open-back models sound more natural, open, or "airy", which makes them a great choice for recording engineers who require the most natural possible sound when mixing and monitoring in a quiet room. If you need accuracy, and you plan to use your headphones primarily for referencing and not for tracking, open-back is a great choice. If you can afford both, it's useful to be able to compare results on open and closed headphones. If you intend to use headphones to check your mix, the frequency response should be one of your primary concerns. 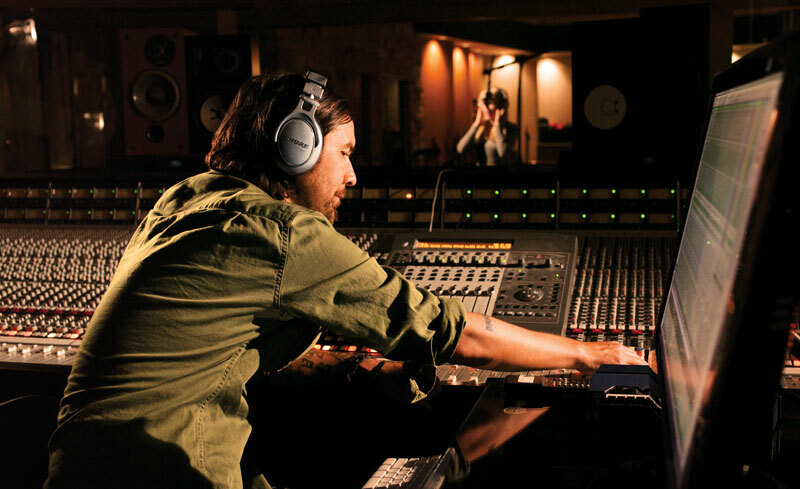 Professional studio quality headphones are designed to let the engineer hear everything that's in the mix, and therefore; they need to be as flat as possible, with a high level of accuracy. A more coloured sounding headphone can cloud your judgement and ultimately lead to a mix that does not transfer well onto other playback systems. In addition, the appeal of flatter frequency response headphones doesn't end in the studio. Audiophiles who aren't convinced by the current trend toward boosted bass in consumer-grade headphones will also find them appealing. Impedance is an electronics term which measures the amount of opposition a device has to an AC current. As the impedance of a pair of headphones increases, more voltage is required to drive it. 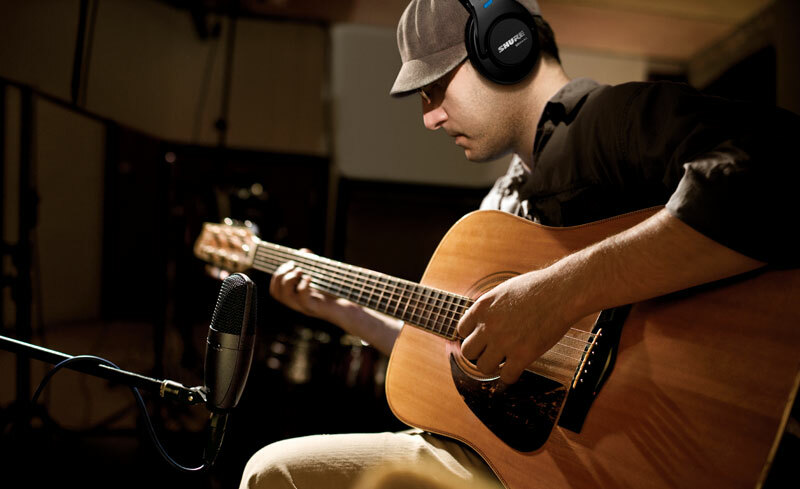 Shure headphones range from between 38Ω and 65Ω, making them suitable for a wide range of applications. Higher end Shure models (such as the SRH1840) will benefit from a good quality headphone amp to drive more voltage and get the best performance. It goes without saying that you want your headphones to be as comfortable as possible. Evidently the longer you wear them, the more essential this becomes, and while every attempt is made to make each pair of Shure headphones as comfortable as possible, higher-end models typically feel comfortable for longer. The 440 provides great all round results for recording and monitoring in a home studio. Additionally, the 440 is an affordable solution for recording studios needing to kit the place out with lots of good quality tracking headphones. Optimised for professional studio monitoring, the 840 has a richer bass and extended high-frequency range when compared to the 440. The wider padded headband also increases comfort over long listening periods. 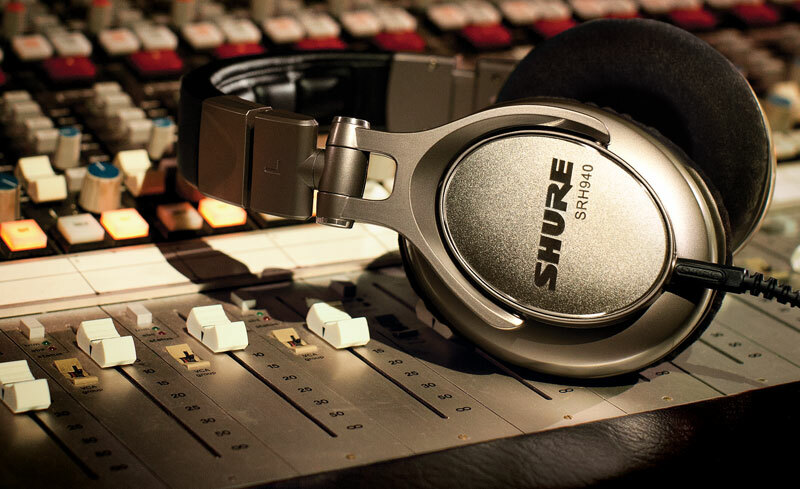 The 940 offers the flattest frequency response of any Shure closed-back. If you need accuracy, the 940 is well worth the extra investment. 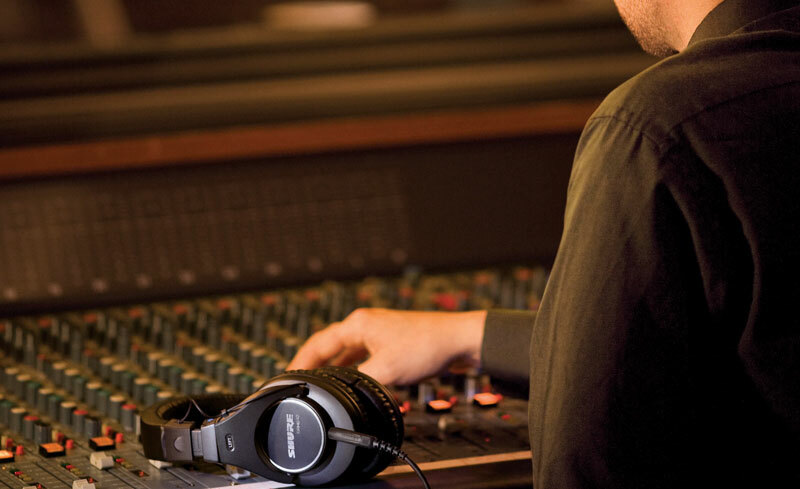 As a reference quality headphone, they deliver accurate response across the entire audio spectrum. They are perfect for editing fine detail before mastering, such as revealing clipping transients, polishing up fades, reducing compression artifacts, and removing low-frequency rumble. 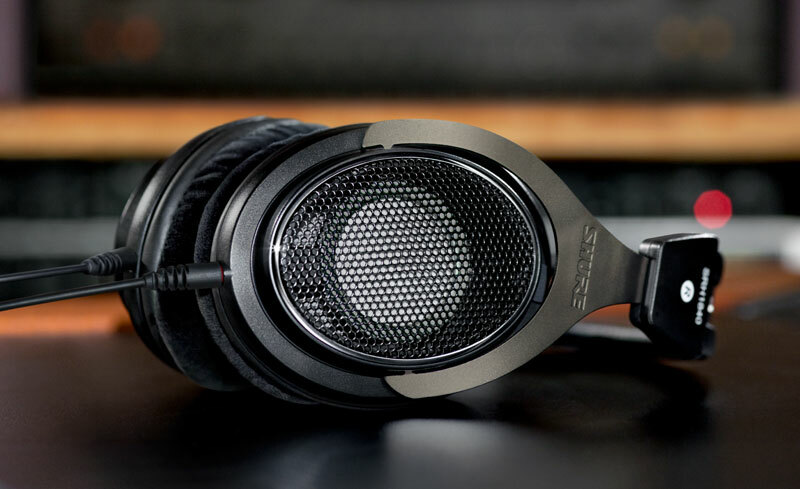 Although they make great studio headphones, their expansive sound stage makes them particularly appealing for audiophile listening. Additionally, the ultra comfortable Alcantara™ pads, make them some of the most comfortable headphones you'll come across. Perfect for hours of listening pleasure or extra comfort in the studio. Bringing Shure quality sound to the open-back category, the 1840 is perfect for those critical mastering sessions, where natural and accurate sound is essential. Alongside individually matched drivers for superior sound quality, they are also exceptionally lightweight, comfortable, and durable.